Paris (AFP) - Swiss scientists have taken a leaf from the pothead recipe book to brew an e-cigarette cannabis liquid for medical use they said Thursday is safer than a joint and better than a pill. 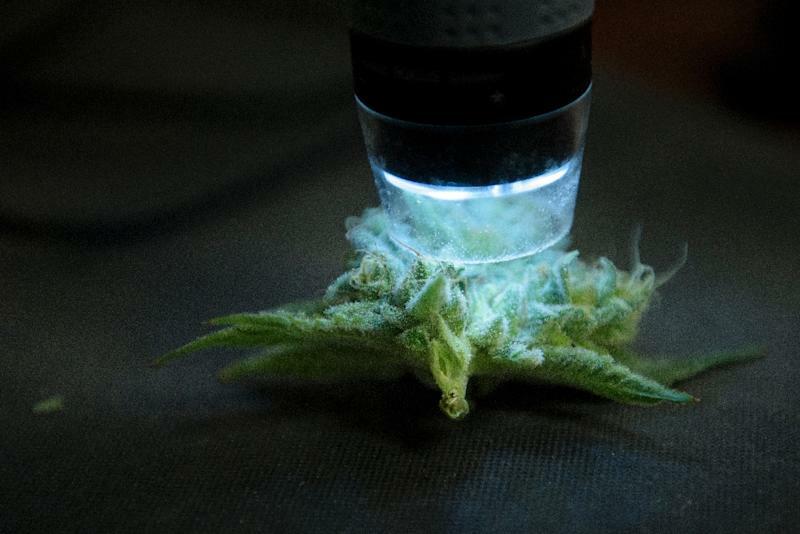 The team copied an improvised method popular among marijuana afficionados using butane gas to extract and concentrate cannabinoids -- the active, high-causing compounds of cannabis. The method yields super-concentrated "dabs" of butane hash oil (BHO) -- comprising about 70-80 percent THCa -- the precursor of THC or tetrahydrocannabinol, which is the psychoactive ingredient. Usually the dabs are burnt and the fumes inhaled. But for the study, the team mixed their activated BHO paste into commercially-available e-cigarette liquid at different concentrations -- three, five or 10 percent. They are touted as safer than the real thing, and an aide for giving up cancer-causing tobacco -- which is also an ingredient of the traditional cannabis joint.